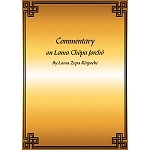 Lama Chopa is a practice of guru devotion special to the Gelugpa tradition of Tibetan Buddhism. 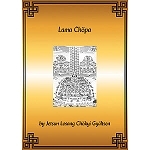 In Sanskrit, lama is guru, and chopa is offering, so Lama Chopa translates into English as “offering to the spiritual guide.” Lama Chopa became so popular in Tibet and Mongolia that almost every monk of the Gelugpa tradition had it memorized. 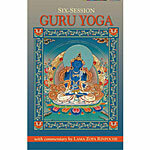 The essence of the practice is to see the guru as an Enlightened Being, a Buddha, and to receive his or her blessings in return. 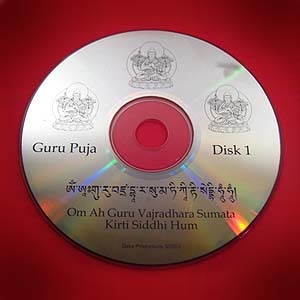 Guru Puja is traditionally celebrated on the 10th and 25th days of the lunar month. During the puja various kinds of offerings are made, one of them being tsog - food mentally transformed into substances worthy to be enjoyed by our teachers. 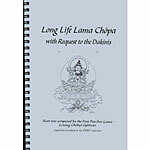 Now you can do this puja and offer tsog by chanting along with the Kopan monks. 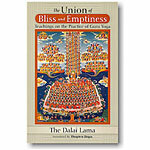 Chanting is in Tibetan. 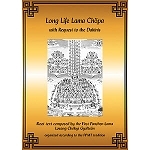 Chanted with traditional instruments, this is remarkable collaboration including Kopan's abbot Lama Lhundrup, the monks and nuns of Kopan, Grammy-winning recording engineer Tom Bates, Ven. Fran Mohoupt as graphic designer, and Hilary Dirlam as author of liner notes. 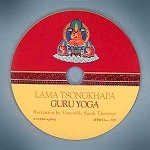 Listen to Lama Zopa Rinpoche chanting Lama Chöpa Tunes.